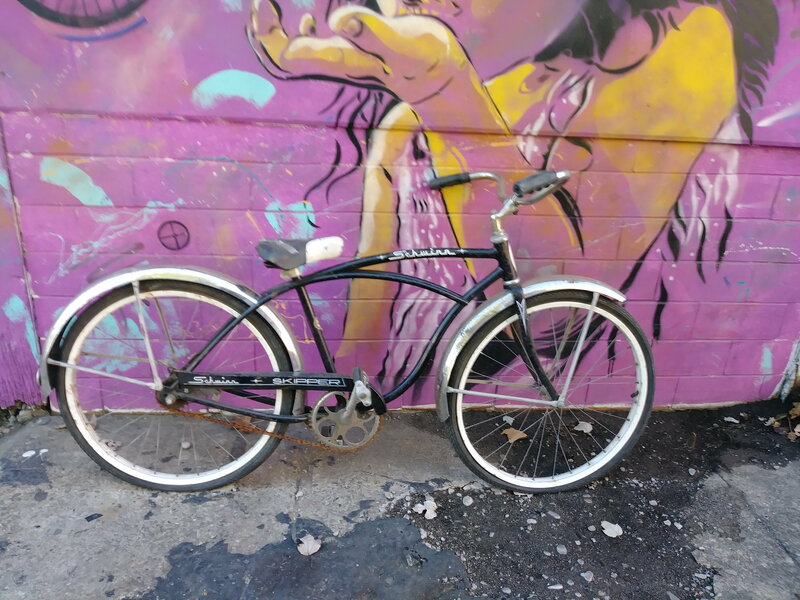 Is there an alternative modern tire that will fit a juvenile Schwinn Skipper bike I just picked up. They are marked 24 x 1 3/4 on sudewall. There is a pretty complete guide to tire sizes on Sheldon Brown's site. Typing this on my phone, so I can't find the link easily, but I strongly recommend you look at that. 1. When it comes to bicycle tires, 1.75 and 1¾ are not the same thing. 2. What Schwinn calls 1¾ may not be the same as what other manufacturers call 1¾. I was just wondering if modern 24 inch tires will fit it. If it is a "Schwinn-specific" tire, it will probably say: "S-7" or similar. As stated above, 1-3/4 although numerically equivalent to 1.75, is not necessarily the same size tire. If you get the right ones, yes. On the other hand, if you get the wrong ones, then: no. I second that the 24 X 1 3/4" tire size is NOT the same as 24 X 1.75". Schwinn had their own tire sizes for some reason (maybe so you were more likely to buy their tires when you needed new ones). Any Schwinn tire size with a fraction at the end of it is different than one with the decimal equivalent at the end of it's size and won't interchange. I believe Kenda still makes a 24 X 1 3/4" tire. I need to get one for my Schwinn unicycle (which takes this size) before Kenda decides to quit making them. Thanks for the info. Off to the LBS. I'll post updated pictures in another thread when bike is cleaned up and rideable. The 24 x 1 3/4 Schwinn S-7 tire has a bead seat diameter of 520mm, while a typical 24 x 1.75 has a bead seat diameter of 507mm. The S-7 is larger and the two do not interchange. Do not let the LBS tell you differently. When I was a mere tad I discovered the same fitting advice applied to the Schwinn 26 x 1 3/4 and a standard 26 x 1.75.